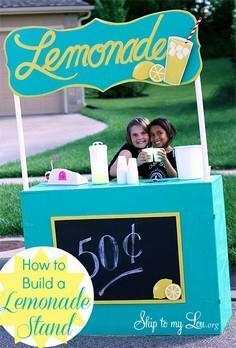 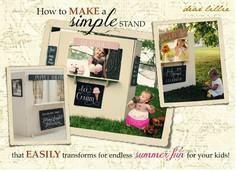 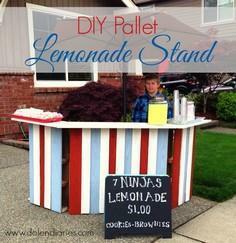 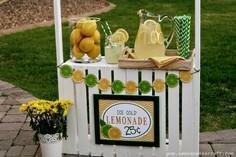 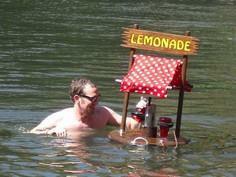 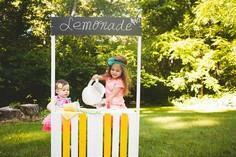 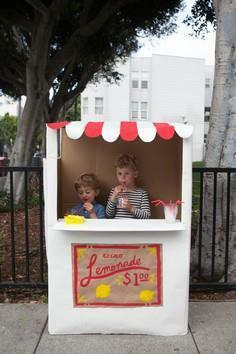 Create a DIY lemonade stand for your little ones, then sit back, and watch the fun! 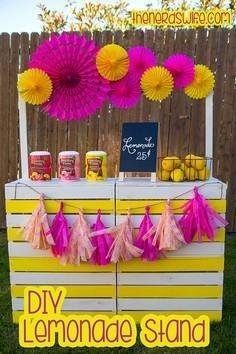 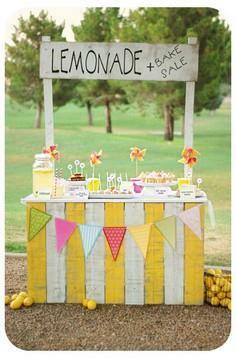 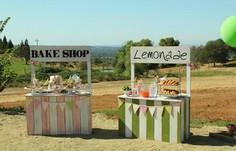 A lemonade stand can be a fun summer activity for kids, and can even become a cookie or cupcake stand. 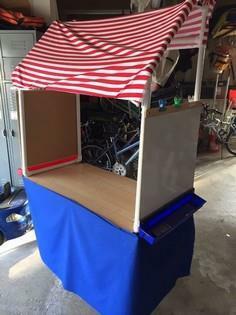 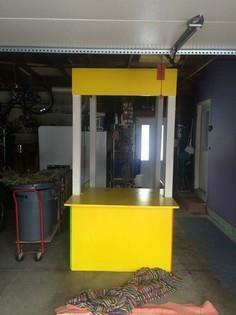 It could even become a puppet theater or a teacher's desk and make a fun addition to your child's room when not in use. 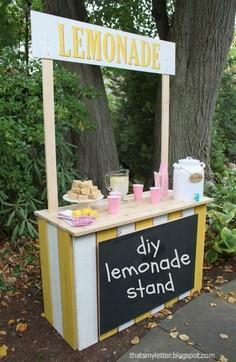 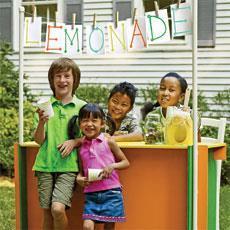 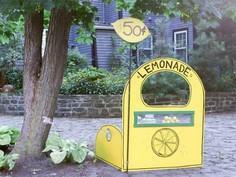 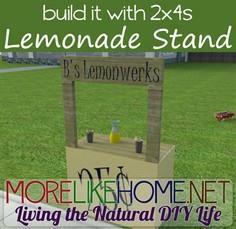 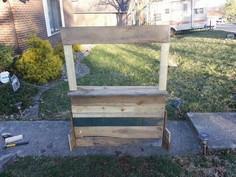 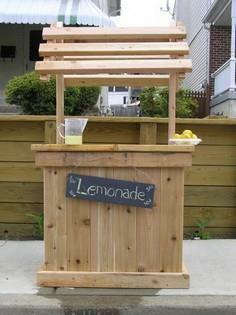 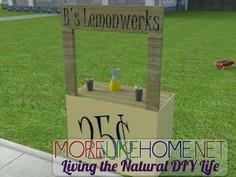 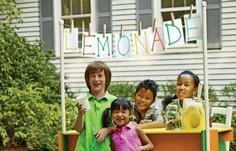 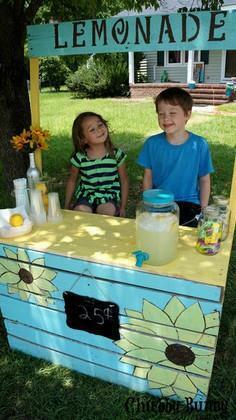 You can purchase stock lumber or use recycled wood scraps to build your child's lemonade stand. 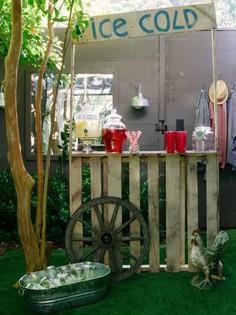 Other good sources of building material are repurposed wooden pallets, wooden crates or an unused cabinet. 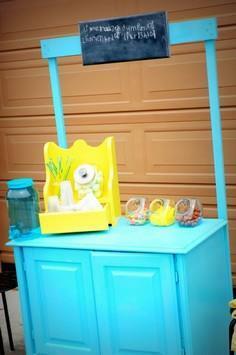 Use colorful paints to add 'curb appeal' and let the kids in on the decorating. 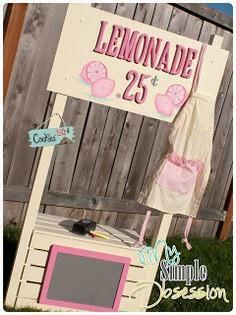 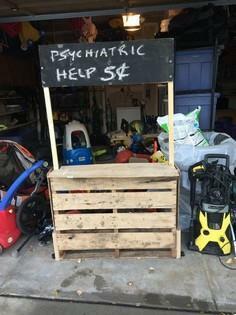 Use chalkboard paint to create a sign, so they can change the message whenever the mood strikes.